China on Thursday launched a satellite to monitor carbon dioxide levels, state media said, making the Asian giant the third country to track the potent contributor to global warming from space. The TanSat probe will allow China to keep a close eye on greenhouse gas emissions and give it a "louder voice" in future negotiations on carbon reduction, according to the official Xinhua news agency. The US and China are together responsible for some 40 percent of the world's emissions, so their participation in the agreement is crucial for its success. The satellite launch comes after US president-elect Donald Trump, an avowed climate sceptic, reportedly threatened to gut the US space agency NASA's climate change monitoring program. 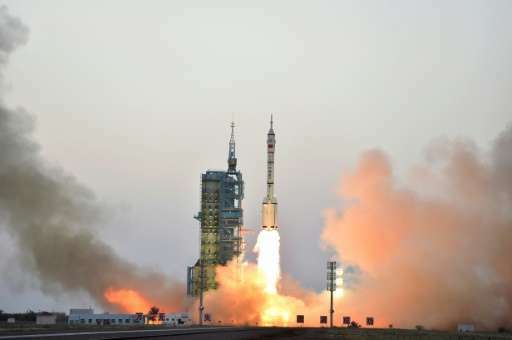 China is the third country after the US and Japan to launch a CO2 monitoring satellite. The three-year mission will take readings every 16 days. "The TanSat has very good 'vision' and can distinguish changes in atmospheric CO2 as small as 1 percent," Xinhua quoted the satellite's chief designer Yin Zengshan as saying. Lin Chao, who was also involved in developing the technology, said it will allow China to "collect carbon data from all over the world, all year round, and record the carbon contributed by both developed countries and the developing countries". The country has been fast moving away from coal—driven in large part by major air pollution concerns including a crisis this month that has choked large swathes of the country.